Do you have observed data? You can cluster it automatically with the kmeans algorithm. In the kmeans algorithm, k is the number of clusters. 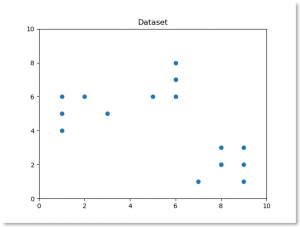 Clustering is an _unsupervised machine learning task. _ Everything is automatic. We always start with data. This is our observed data, simply a list of values. We plot all of the observed data in a scatter plot. We will cluster the observations automatically. K can be determined using the elbow method, but in this example we’ll set K ourselves. Note: K is always a positive integer. We cannot have -1 clusters (k). 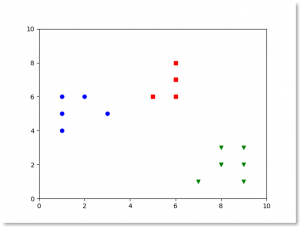 The k-means clustering algorithms goal is to partition observations into k clusters. Each observation belong to the cluster with the nearest mean. If you see the above result, Kmeans has clustered the observations automatically.